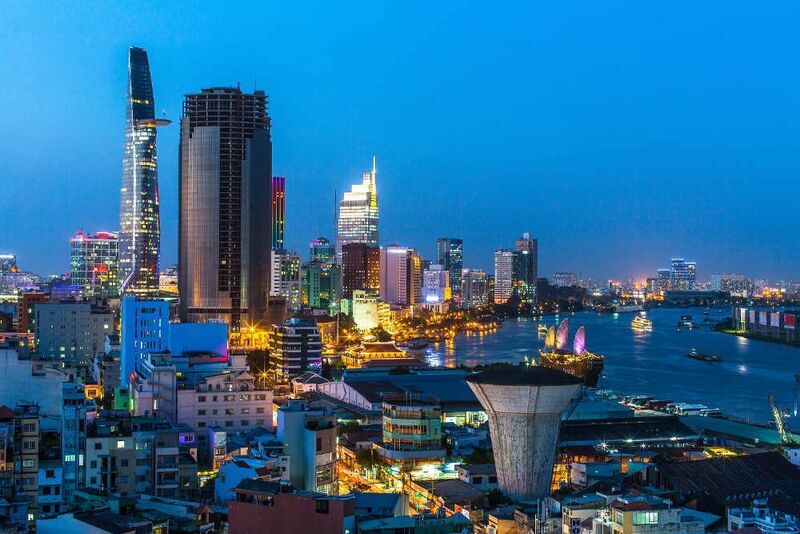 Ho Chi Minh City is the largest city in Vietnam, located in the south of the country. Renamed after the Vietnam War, some locals still refer to the city as Saigon, especially in relation to the tourist centre. This action packed city has all but let go of its war torn past only one generation ago, and is now a bustling metropolis, getting larger, more modern and more expensive every day. The climate is tropical wet and dry so there are no four seasons in this part of the world, just the wet and dry season. It is hot all year round. The city is all too aware of its popularity with tourists, so as in many big cities tourist scams are relatively common, from airport taxis to hotel security to pickpockets. Be not deterred, most locals here are friendly and helpful; keep your wits about you and you’ll be fine. For a fun introduction to Ho Chi Minh City, consider Urban Tales Cholon. This tour-come-murder mystery invites you on an adventure through the city’s Chinese quarter. Spend half a day exploring temples, pagodas, hidden streets and boutiques as locals guide you toward solving the murder of Dr Lam. On a hot day go to Dam Sen Water Park. This city centre water park has some excellent if a bit treacherous water slides, and a new one is built every year. For the faint of heart there are also some animatronic dinosaurs and a restaurant in the park. There are also other water parks further from the centre: Water world (District 9), Ocean Water Park (District 7) and Dai The Gioi Water Park (District 5). Adventured out and looking like you’ve been dragged backwards through a bush, live like a local by visiting a hair salon. The Vietnamese have developed a worldwide reputation for styling hair and nails, and the full set is unlikely to set you back more than US $10. 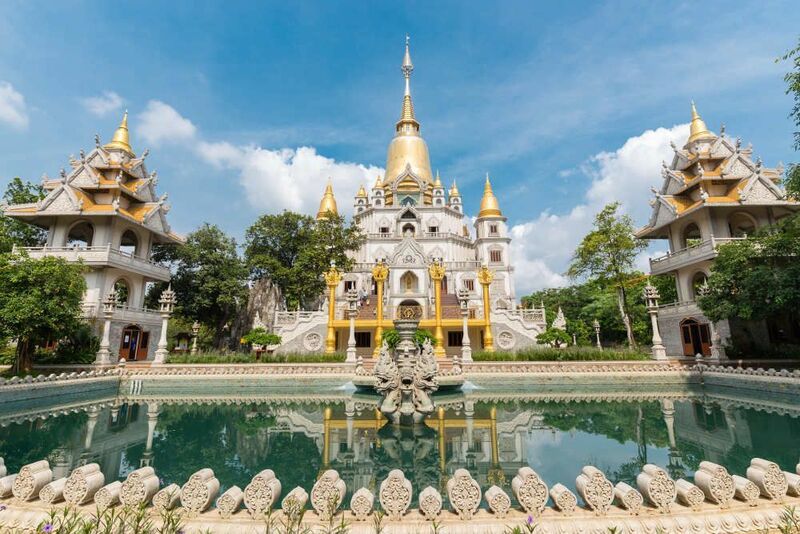 A walking tour is the best way to get to know Ho Chi Minh City. Whether self-guided or led by a local, these free tours are sure to introduce you to the main attractions and hidden gems of the city. This guided tour focusses on the history of the city centre. Much of the original French Colonial architecture is still standing and some of the best examples are covered in this 4 hour tour. It visits some of the centre’s important buildings before either the Reunification Palace or the War Remnants Museum, concluding at the Ben Thanh Market. Please note: Though this tour is free of charge, it does not include the entry fee to the Palace/Museum, but tickets are reasonably priced. Take a tour round the most important sights of the city with English ex-pat Adam, who will give you a deeper understanding of the city’s past with legends, myths and true stories. This tour is around 3 hours long and covers Ben Thanh Market, Saigon Opera House and the Bitexco Financial Tower amongst many more. Shopaholics unite! This hour-long walk will take you round some of the best shopping streets in the city. Starting at Dong Khoi Street and making your way south to Cho Ben Than market, this tour is self-guided so you can shop till you drop, lie down for a while and then continue to shop at your leisure! This tour’s route can be downloaded for use offline via the ‘GPSmyCity: Walks and Articles with Offline Maps’ app. Below you can find more popular (but not free) activities and tours in Ho Chi Minh City. Are you from Ho Chi Minh City and want to be a tour guide? Please get in touch by submitting your details on this page!